(Natural News) A lot has been done to curb iodine deficiency in many areas worldwide, but a recent study showed that cases of low maternal iodine levels have been identified in areas that were previously known to be iodine-sufficient. The findings of the study, published in the journal Nutrients, raised some concern on the so-called “re-emergence” of iodine deficiency, especially in industrialized countries. This also puts the spotlight on its possible impacts on public health, as well as the need for supplementation programs. Researchers from the University of Surrey in the U.K. and the Hospital Riotinto in Spain observed the effects of maternal iodine deficiency in different stages of child development – during pregnancy, lactation, and the first two years of life. They observed that iodine deficiency could lead to cognitive consequences such as impaired speech development, learning, and reading skills. The negative cognitive outcomes caused by iodine deficiency also led to an increase in behavioral disorders. This was associated with abnormal serum thyroid concentrations during the early stages of pregnancy. Still, the finding that surprised researchers was that iodine deficiency is no longer limited to certain areas, such as those with impoverished conditions, or those with high-risk conditions like poverty and malnourishment. According to Velasco, this calls for another look at existing programs for iodine supplementation, given the re-emergence of iodine deficiency. “It is important to elucidate the contribution of iodine deficiency to these emergent public health issues,” she added. She also pointed out that collaboration between stakeholders will be needed to address and eliminate the problem of iodine deficiency. In addition, approaches must be targeted to ensure adequate intake for high-risk population groups, such as pregnant women and children under the age of two. “Iodine deficiency remains as a public health problem worldwide and also requires a serious commitment from health authorities to be eradicated,” she concluded. 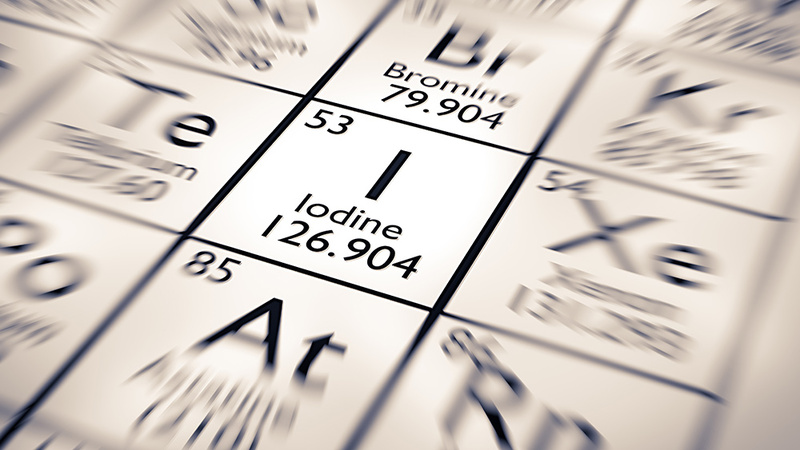 Iodine doesn’t just benefit pregnant women and children: This trace element is a vital component of thyroid hormones that are responsible for many biochemical reactions in the body. Iodine also helps regulate metabolic activity, which is important for managing diabetes. On average, adults need 150 ?g (micrograms) of iodine a day. Pregnant women require higher, at 220 ?g per day, while lactating mothers should get at least 290 ?g of iodine daily. One of the best sources of iodine is seaweed, with one gram giving you up to 2,984 ?g of iodine per serving. Cod and plain yogurt are also good sources, with each giving you 66 and 50 percent of your daily value per serving. In addition, dairy products, especially milk, and grain products are the major sources of iodine in a standard American diet. Looking for even more ways to naturally get iodine? Head over to Food.news to learn more. Next : Can this traditional Thai herbal extract be used to treat Type 2 diabetes?